Description: During a stargazing session with my girlfriend's telescope. 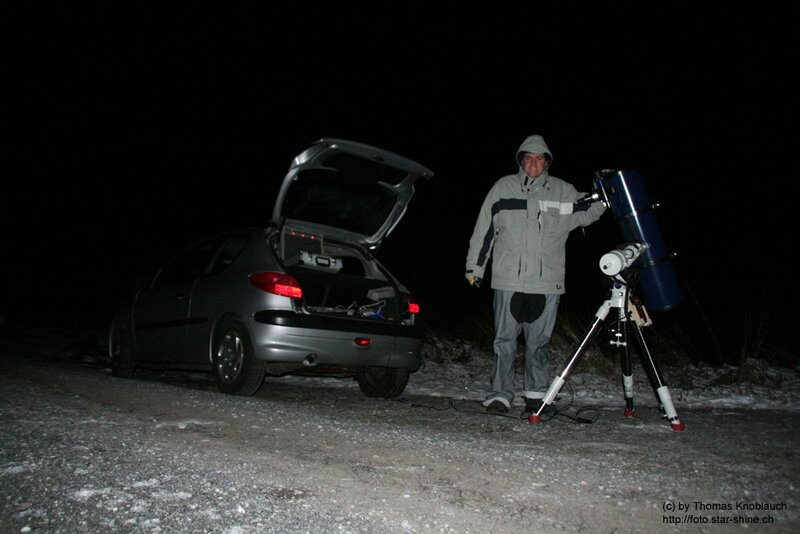 The telescope is a Skywatcher 8" Newton on a Meade LXD-75. This picture was taken at my most prefered observing location.